“Extra Extra!! Read all about it!” A classic shout and quote if there ever was one! 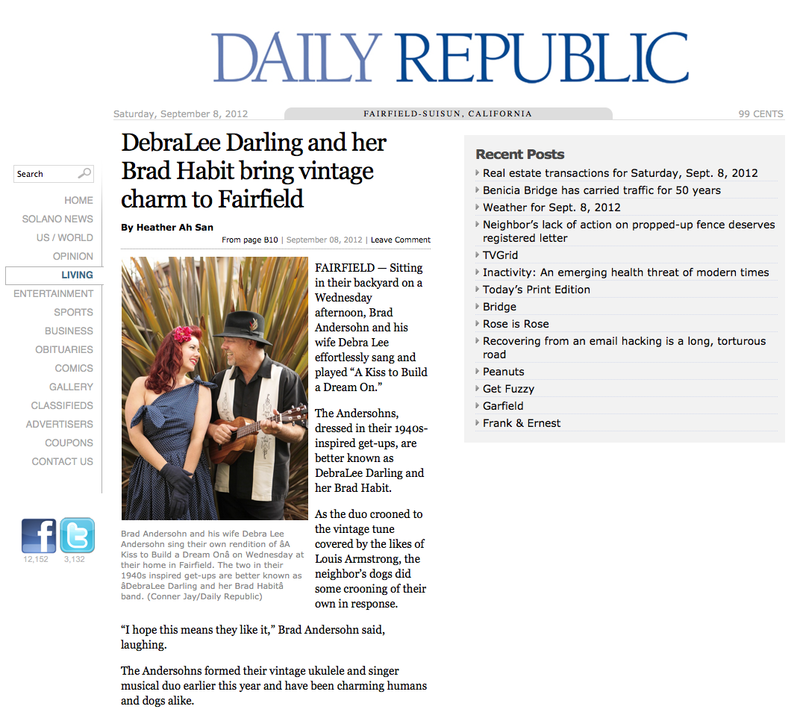 Special thanks to Heather Ah San at the “Daily Republic” for featuring our story in today’s local newspaper. It’s true, the local neighborhood dogs started crooning at the sounds of some vintage songs being performed in our backyard! This entry was posted in Classic, News, Performances, Vintage and tagged Daily Republic. Bookmark the permalink.